The director in DG Environment was sceptical when a guest asked about emission trading as a policy option back in 1992. Later, the successful Swedish green tax reform was one of the inspiration sources behind the Commission proposal for a European energy and carbon tax. The first choice for the climate experts in Brussels was a tax, not emission trading. However, it was not possible to achieve consensus around the European Commission proposal due to objections from in particular the United Kingdom. The European emission trading system (ETS) emerged as an alternative. Now, the ETS is well established, but still has problems after many years of low prices for the certificates. Against this backdrop, the enthusiastic statements from Brussels policy-makers on the new Chinese emissions trading system seem oversimplified. During recent years, there has been problems in the Chinese pilot markets with inter alia too many emission permits issued and a lack of tough sanctions towards companies not paying for emission certificates. The national system will to start with only cover power production. Experts have questioned the lack of a ”hard cap” for total carbon dioxide emissions from the sector. Instead, emission certificates will be allocated to power plants according to their electricity production. There are a number of other question marks. In addition to the lack of a cap for total emissions, the crucial issue of effective verification is not convincingly addressed and it is unclear how transparent the system will be to the public. An upstream carbon tax on coal and oil has been identified by the OECD and others as easier to implement than emission trading permits. Even when China has now decided to try a national ETS, there is still the opportunity to apply a carbon tax in the non-ETS sectors. Such proposals have been developed, and even if there are recent negative statements from Chinese policy-makers regarding a carbon tax, the idea should not be abandoned. The European Commission is investing heavily in promoting emission trading in China. A few weeks ago, ICF was awarded a ten-million-euro contract to support cooperation between the European Union and China in this area. To help China avoid the mistakes in Europe is certainly a worthy task. However, the Commission’s approach is unbalanced, strongly promoting one of the possible economic instruments. Maybe one reason is perceived economic benefits from a future linking between the European and the Chinese ETS systems, but such a linking is unlikely to happen. A strategy to promote effective policies against climate change in other countries should take a wider view and for example devote more resources to advise on the introduction of carbon taxes. In the case of China, such a broader approach seems well-motivated. Today, I was one of the speakers at a climate event hosted by IPPR, Christian Aid and WWF-UK. Below you will find a somewhat expanded version of my introductory remarks on Europe´s role in global climate politics. How can Europe regain its leadership? How can it get others to follow? As regards the leadership, I agree that the European Union was sidelined in Copenhagen and that there is a need to learn from that. The present economic crisis and austerity measures might also contribute to weakening the support for ambitious targets. At the same time, however, it´s important to state that the EU still has what is probably the most ambitious climate policies of the major actors in the negotiations. My first point is that the EU should not water down its commitments, which might be a real danger if Cancun is a failure and climate moves further down the policy agenda. In the short-term, defending what has been achieved must be part of the strategy. When it comes to regaining Europe´s influence, the basis of leadership is what you do yourself. The implementation of the 2008 climate and energy package is very important. Member States have to put forward convincing plans to reach the targets for reducing carbon emissions, improving energy efficiency and increasing the use of renewable energy sources. But Europe also has to move forward on new measures, for example on energy efficiency, carbon taxes and on improvements to the emissions trading system. So, how do you build support for an ambitious climate policy in a time of crisis? Discussions before and at European Councils is something different from meetings of Environment Ministers. There are a number of arguments that can convince top-level decision-makers why Europe should continue to take the lead. First, of course, the risks of climate change. Policy-makers have to understand the dramatic consequences of a 3 or 4 degree change. There is still a tendency not to plan for worst-case scenarios. When public debate is focussing on the economy, it´s even more important to continue highlighting possible abrupt effects from climate change. Second, the long-term competiveness of European industry. By not moving forward, other areas of the world will take the lead in the development of low-carbon technologies – both for climate policy reasons and to improve energy security. There is a real risk of Europe being overtaken by developments around the Pacific Ocean. Look at the green investment packages in China, South Korea. DG Climate Action has put forward an interesting analysis of this subject in a Staff Working Paper accompanying the recent Communication on a possible 30 percent reduction target. Third, there is the issue about green jobs and green investment as a way out of the present crisis. Austerity measures will probably dominate political debate this year, causing public protests and posing risks of legitimacy to a number of European governments. There will be cuts also in environmental budgets and perhaps in development aid. But it will be difficult for politicians not to take action to reduce unemployment and for example looking at new ways of financing investment in renewable energy and power grids. This is also a lesson from Swedish experience during the deep economic crisis of the 1990s. Fourth, the link between climate change and security is evident. The foreign and security community is starting to take climate change seriously. Present and potential conflicts in other parts of the world, energy security for Europe, conflicts over natural resources more broadly that feeds in to Europe´s security. Fifth, the European Union´s political need for world leadership in a time of shrinking economic influence. The people at the new positions established by the Lisbon Treaty are competing. One positive aspect of these turf wars is that all of them – Van Rompuy, Ashton and Barroso – want to be in the front on climate, at least as long there is not complete failure in global negotiations. I would particularly mention Herman Van Rompuy and his staff as a more important player in the time to come. With so many strong arguments, I am optimistic that the European Union will continue to move forward on climate policies and play a progressive role in the global negotiations on climate. But to succeed, Europe must learn from the failure in Copenhagen. That brings me to the second question: How can the EU get others to follow? To a large extent, I believe the answer is trust. One reason the EU punched below its weight in Copenhagen was the confidence gap between developed and developing nations. In other negotiations, co-operation between the EU and G77-countries has been important to achieve results: for example on the biosafety protocol of the convention on biological diversity and the export ban in the Basel convention. In Copenhagen, the BASIC countries did the deal with the US, apparently not caring too much about Europe. To change that next time, the EU must build stronger alliances both with countries like Brazil and South Africa, and with poorer countries. (Of course India, China and Russia are also important, but time does not allow me to dwell on those relations). – considering the way the EU acts in some parts of trade policy. For example the raw materials initiative – better to develop win-win policies than to threaten with economic sanctions. Or the external trade aspects of the EU2020 strategy. How the EU acts on trade issues will affect the level trust in climate discussions. Look for win-win strategies such as free trade in low-carbon technologies. – using possible leverage from reform of CAP and fisheries policies. There will not be enough reform in the short-term, but still there could be openings for improving trust. In the long-run, reducing agricultural production and export subsidies is necessary for a global green deal. – delivering on Millenium Goals, inter alia on official development assistance. The June European Council stayed by the 2015 target for ODA but there is a need to defend this in the wake of the euro crisis. – improving green diplomacy. The Lisbon Treaty gives new opportunities, but there is also cause for concern given the present turf wars in Brussels. Much is to be said about the road to Cancun and South Africa, but time does not allow to go deeper into the negotiating issues. Progress on issues such as forestry, hot air and verification is important. But there is also a need to look at the broader context. In the time frame 2015 – where are we then? Most important now is to keep momentum. Let not disappointment after Cancun allow the whole process to collapse. If a legally binding agreement on emission targets is not possible in the near-term, agree on a step-by-step process. One part of such a process could be a stronger focus on Policies and Measures, building on the relevant parts of the climate convention. Progress in this area has stalled since the 1990s. For example, why not develop a protocol on minimum standards for energy efficiency, based on the UNFCCC? To summarize: key for the EU is delivering on its own 20-20-20 targets, building trust with developing countries, looking for step-by-step progress in global negotiations based on policies and measures as defined by the climate convention. After the failure in Copenhagen, many must consider what went wrong. Europe needs to rethink its international environmental strategy. The European Union can look back at a number of green success stories. Working together with developing nations, Europe played an important role at the Rio Conference in 1992, for the Kyoto Protocol in 1997 and for progress in other fields, such as control of dangerous waste under the Basel Convention and the Biosafety Protocol under the Convention on Biodiversity. But in Copenhagen, European leaders were sidelined by the US, China, India, Brazil and South Africa. When the deal between Barack Obama and the emerging economies was done, the European Union faced the choice either to agree or to be accused of stopping an agreement in Copenhagen. 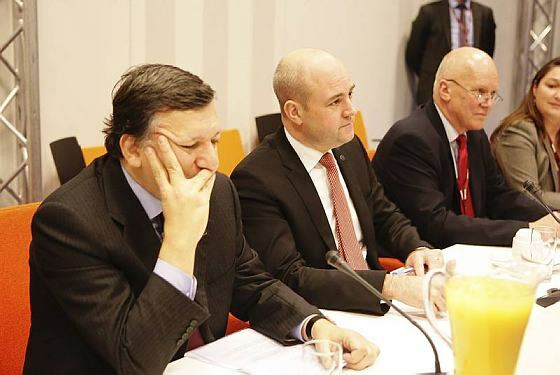 The press conference where José Manuel Barroso and Fredrik Reinfeldt were going to present the European view was delayed for more than two hours – a sign that discussions among EU Heads of Government were not easy. Already before EU co-ordination started, Nicolas Sarkozy said that the deal was done. Once again, the big EU countries acted on their own, making the role of the rotating Presidency difficult. The Swedish Presidency´s disappointment over the Copenhagen Summit was obvious. Major fiasco, complete mess, totally inadequate, massive disappointment are words that spring to mind twittered Gunnar Caperius, adviser to the Minister for Environment. The Minister himself, Andreas Carlgren, wrote on his blog under the title `Disappointed over the Copenhagen outcome´: What happened at the climate conference is really not what I and the EU have worked so incredibly hard for…Yesterday the USA, China, India, Brazil and South Africa made a deal on their own. Of course, the responsibility rests with many players, mainly the US and China. But the Swedish EU Presidency was too weak, with clear divisions between Andreas Carlgren and Prime Minister Fredrik Reinfeldt. What lesson can the European Union learn from the climate fiasco? First, the world has changed. China is flexing its economic muscles more than before. India, Indonesia, Brazil and South Africa are taking a self-confident role on the global scene. The European Union must have a more coherent foreign policy in relations to such countries, not allowing them to divide Member States (as Russia has done on energy policy). Second, Europe must build stronger alliances with poor countries. During the climate negotiations, Sweden as EU Chair categorically refused to discuss new commitments under the Kyoto Protocol. This attitude provoked many developing countries, and in the end the European Union had to revise its position. Now, EU leaders, and the new High Representative Catherine Ashton, must find ways to increase trust among the poor countries. Third, environment cannot any longer be seen isolated from trade and development policy. The refusal by China and India to move forward on binding climate commitments will certainly increase calls for border tax adjustments and other restrictive trade measures. That is a dangerous route. The EU should instead use the review of the Common Agricultural Policy and the negotiations on the next long-term budget to reduce trade barriers and subsidies, and use this leverage to convince major partners to move forward on climate. It is too early yet to make a final assessment of the Swedish EU Presidency. Negotiating a climate treaty in Copenhagen is the most important goal for Fredrik Reinfeldt and his colleagues. At the end of the week we will know if this aim was achieved. However, it is possible to summarize progress so far in other fields. As others have noted, it has been a low-profile but effective Presidency. Sweden moved issues forward that were already on the agenda. One contributing factor has been the many skilled civil servants and diplomats in the Swedish administration. After Ireland´s yes-vote, Fredrik Reinfeldt was successful in convincing Vaclav Klaus to sign the Lisbon Treaty. That was an important achievement, allowing the new Treaty to enter into force on 1 December. It paved the way for the appointment of Herman Van Rompuy and Catherine Ashton to the two new top positions in the EU. Fredrik Reinfeldt´s leadership has been compared to a Volvo diesel, running at an even speed in a reliable way. In some areas, however, it would have been better with a modern eco-car with more acceleration. It is hard to find many areas where Sweden really pushed the European agenda forward during these six months. Yes, an EU presidency should act in the interest of the whole Union, but it had been possible to take more initiatives during 2007 and 2008 that had been mature for decisions this autumn. Environment is a case in point. The Swedish government was late in its proposals regarding the EU Sustainability Strategy review, and has taken few initiatives in areas such as chemicals, waste and biological diversity. The talk about `eco-efficiency´ did not lead to concrete decisions. In some areas the reasons are ideological. The centre-right government in Stockholm did not want to review the controversial directive on posting of workers, after a heated debate in Sweden regarding the Laval case. The conclusions at the December Summit on the post-Lisbon strategy do not contain much on good working conditions, gender equality or anti-discrimination, but these issues were never a real political priority for Reinfeldt´s Presidency. It is harder to understand the lack of initiative in areas such as environment or consumer protection where political parties in Sweden´s coalition government have traditionally had strong views. Of course, there are exceptions. Enlargement is perhaps the most important success story of the Presidency. Carl Bildt and his skilled collaborators played an important role behind the scenes to break the impasse in Croatia´s membership negotiations. There was also progress for Serbia and other parts of ex-Yugoslavia. Iceland started its route towards membership. Carl Bildt also secured agreement on the European External Action Service. The Swedish Foreign Ministry did more to prevent a new Georgia crisis this summer than is publicly known, and managed (at least so far) to hold the EU together on Iran. Justice Minister Beatrice Ask convinced her colleagues about a new Stockholm Programme with more focus on fundamental rights than before (her colleague Tobias Billström, however, was not able to change the repressive character of migration policy in Europe). 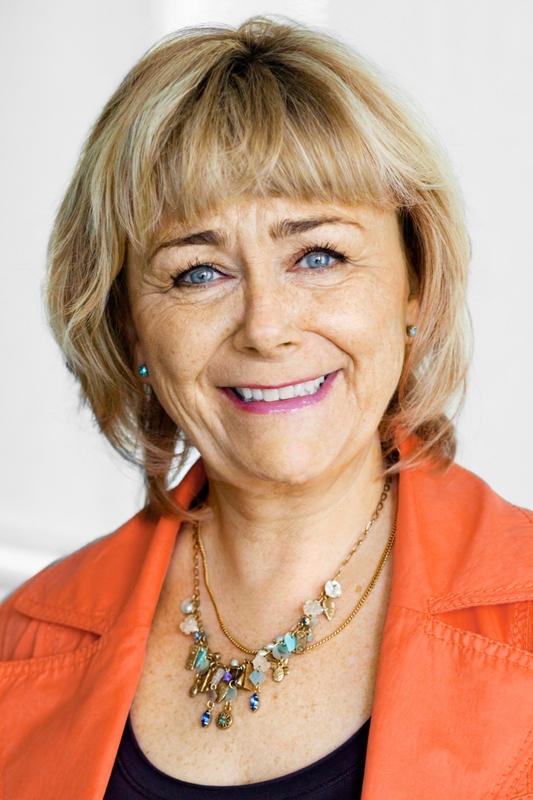 Health Minister Maria Larsson tried to hold the EU together in its response to swine flu and moved the issue of better antibiotics forward – an underestimated policy area. But more often than not, Sweden followed the will of the big EU countries, for example on the appointment of Herman Van Rompuy and Catherine Ashton. At a remarkable event, France met with 21 other countries to discuss the future of agricultural policy, excluding Britain and Sweden – a clear provocation to the EU Presidency. The deal on financial supervision allowed the UK to retain national control over its financial sector, while the Swedish government watered down proposals on the regulation of alternative investment funds. The Swedish Presidency was much better than the Czech, but it was in some ways also an opportunity lost. Now in Copenhagen, the EU position is to abandon the Kyoto protocol without having a new binding treaty to put in its place. That is not very promising for the final assessment of the Presidency. A Green World Power – But For How Long? Finally, the Copenhagen Climate Summit starts. Reaching an agreement at the conference is `a very big and important task´ for the Swedish EU Presidency, Fredrik Reinfeldt stated in July. Now it is clear that Copenhagen will not produce a binding agreement, a setback for Reinfeldt´s ambitions. Without doubt, the European Union has played a leading role in global climate negotiations, saving the Kyoto Protocol and setting the most ambitious emission targets among major economies. European leverage in Copenhagen depends on how governments solve outstanding issues. There is still no bid from the EU on financial aid to developing countries, although Reinfeldt claimed so after the European Council in October. Sweden is now trying to get pledges from as many EU governments as possible. Financial aid has to be additional to earlier promises if Copenhagen is to be a success. Developing countries will not be convinced if the money comes from existing development aid budgets. The European Council on Thursday and Friday has to come up with a substantial offer. Fredrik Reinfeldt must also have the guts to say no to Barack Obama if the US position is too weak. It would be a serious mistake to abandon the Kyoto Protocol without a better binding agreement in place. In Copenhagen, the European Union will be in the lead. But in five years, the picture might have changed. The new government in Japan has already presented an ambitious climate target. China is moving fast forward, for example on green technologies. The same goes for South Korea and other emerging economies. With Barack Obama as President, the United States can regain the leading role in environmental policy the country had during the 1970s and 1980s. Europe could quickly lose its pole position if there is not enough progress on new environmental measures. Unfortunately, there has been a slowing down in green policy-making during the last few years, with industry concerns over short-term competitiveness growing more influential. The new Commission will have a key role in securing that Europe does not fall behind. Connie Hedegaard is a good choice as climate commissioner, but it is also crucial that the new climate directorate has a strong leadership. The ambitious climate targets agreed must be followed by concrete measures to preserve Europe´s credibility. Other environmental issues are equally important. It will not be possible to find long-term solutions to climate change without adressing the loss of biodiversity. Resource and energy efficiency will climb even higher on the political agenda when conflicts over scarce resources grow stronger. Thus, Jan Potocnik´s portfolio is as important as Connie Hedegard. The European Parliament should put tough questions to Potocnik on the agenda for the coming years. The new high representative, Catherine Ashton, also has a key role. The European External Actions Service should have a strong green component. Being a green world power is an advantage for the European Union, giving credibility both in the world and among its own citizens. The Copenhagen Summit will be a test for European diplomacy and for the Swedish Presidency. However, ambitious Commission proposals on environment during the next few years could be even more important for Europe´s role on the global stage. When José Manuel Barroso presented the new European Commission, he noted that Swedish Member Cecilia Malmström will have the responsibility to implement the Stockholm Programme, negotiated during the Swedish EU Presidency. Barroso could have added Viviane Reding´s name, as she will take care of important dossiers such as fundamental rights. But it is true that Sweden really moved the Justice and Home Affairs agenda forward this autumn. Tomorrow, Minister for Justice Beatrice Ask will try to convince her colleagues to agree on the remaining open issues in the plan for the next five years. She has already given citizens´ rights a more important place than in the preceding Hague Programme. The draft Stockholm Programme includes a stronger role for the Fundamental Rights Agency, a quick accession to the convention on human rights and an action plan for human rights in relations to countries outside the EU. There has also been progress on procedural rights for persons who are suspected of crime. After a long deadlock, Beatrice Ask has secured a decision on the right to interpretation and a roadmap for further work. Ministers will also agree an `action oriented paper´ against trafficking, although the issue of an anti-trafficking coordinator is still open. Critics will not be satisfied, however. While police authorities will have easier access to information, data protection is weaker than Sweden initially proposed, for example in agreements with third states. The much discussed SIS II and VIS systems will be implemented as planned. – Common minimum rules concerning the definition of criminal offences and sanctions, for example on terrorism and `computer crime´. – Mutual recognition in areas of civil law such as succession and wills and the `property consequences of the separation of couples´. – The possibility for police in one member state to execute `certain investigative measures´ in another member state. Still – if there is agreement tomorrow, Beatrice Ask will have achieved one of the most significant results of the Swedish Presidency, putting her own touch on the Programme regarding citizens´ rights and the fight against trafficking. When it comes to asylum and immigration policy, the picture is different. Proposals by Swedish migration minister Tobias Billström have been changed drastically. Language on the rights of third-country citizens and on the fight against discrimination has been weakened, while stronger wording has been used on the obligations of immigrants and against illegal immigration. This is not surprising, given the climate in the EU on migration. But it will give Swedish liberal Cecilia Malmström a hard time as the responsible Commissioner. The time for celebration is over. Now Herman Van Rompuy and Catherine Ashton must start preparing for their new jobs. Catherine Ashton has a delicate balancing act to perform. The High Representative should take up her new responsibilities on 1 December, according to the Lisbon Treaty. 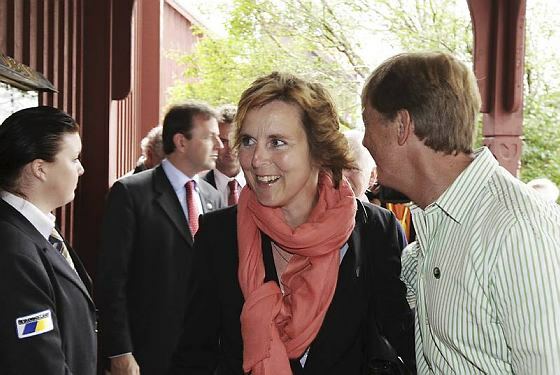 But Ashton is facing European Parliament hearings before she is confirmed as Vice-President of the Commission. She cannot wait for the vote. A number of urgent dossiers are already piling up on her new desk. One of them is the European External Action Service, EEAS. When EU governments agreed guidelines for the EEAS, they left a number of controversial questions unanswered. Catherine Ashton must move quickly to gain control. The relationship between foreign and development policy is one such issue. During the European Development Days in October, many speakers were eager not to subordinate EU development aid programmes to short-term foreign policy priorities. Poverty reduction should remain the aim for EU financial assistance and the Commissioner for Development should be in control over programming (over the money, to put it more frankly). This view is shared by many Ministers for Development. However, the guidelines for the EEAS state that the geographical desks should `play a leading role in the strategic decision-making´ about programming and implementation. Proposals to the College of Commissioners will be prepared jointly by the High Representative and the Commissioner for Development. How this should work in practice must be decided before the end of the year, according to the guidelines. Catherine Ashton must move quickly to find a solution to the internal conflicts that remain. The European Parliament and many others will closely monitor the organizational structure for development programmes in the new Commission. Similar issues arise for EU Neighbourhood Policy programs. 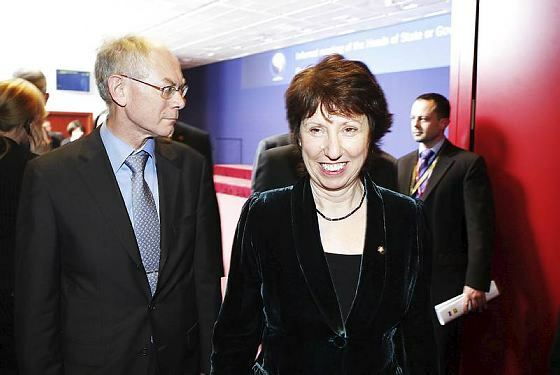 Before April 2010, Catherine Ashton must submit her proposal for a Council decision on the organisation and functioning of the EEAS. Other difficult issues include the role of special representatives, and of EU delegations around the world. This goes especially for EU Delegations at the UN and other multilateral institutions. At the same time, Ashton must quickly become a key player in foreign policy. Her first statement on Iran, for example, will be scrutinized in detail. To have any chance of success, she must delegate a number of tasks related to organization without losing overall control. Hopefully, she will still have time to use the Lisbon Treaty to advance EU policy on horizontal issues such as human rights, conflict prevention, and green diplomacy. It is a tall order for someone with little experience in foreign and security policy, but Ashton should have the benefit of the doubt. Herman Van Rompuy has a somewhat easier task. The Swedish Presidency will chair meetings until the end of the year, and Van Rompuy will be able to ease the transition of power in Belgium before taking up his new post. However, the new President of the European Council must quickly agree a division of tasks with the upcoming Spanish Presidency. That might not be so easy. Zapatero is likely to fight for a strong Spanish role for example in the preparation of a post-Lisbon strategy. Herman Van Rompuy must, like Ashton, devote much energy to the new organizational structure. What will be the relation between the President and the rest of the Council Secretariat, led by Pierre de Boissieu? Who will, in practice, prepare the work program of the Council and negotiate with the rotating Presidencies? My bet is on Pierre de Boissieu. Many have asked whether Ashton and Van Rompuy were really the best two candidates Europe could muster. That is a good question. But now, the choice has been made. Europe needs leaders who work well together and who make the European Union more than the sum of its individual parts. Ashton, Barroso and Van Rompuy deserve a fair chance.